My Global Mind — Quiet Riot has pumped out some great music since the 80s and in 2017 continues to show the world they are relevant with the release of their new CD; Road Rage via Frontier Records. Led by drummer Frankie Banali along with veteran bassist Chuck Wright, guitarist Alex Grossi, and new vocalist James Durbin are now an unstoppable force in the rock ‘n roll world. With the injection of newfound energy from James, the results are evident on their new CD. 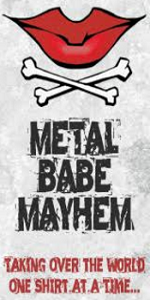 Musically, Road Rage offers exactly what you would expect from Quiet Riot; arena ready hard rock with strong hooks and infectious riffs delivered with a maturity in the songwriting. 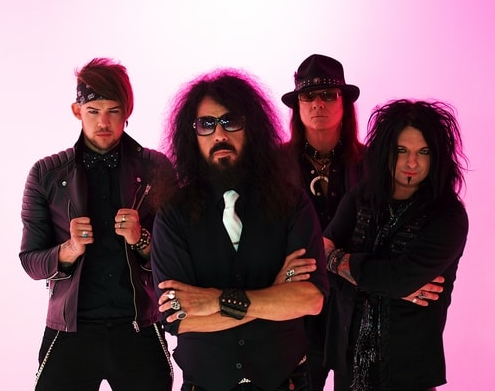 I had the pleasure of sitting down with Frankie Banali to talk about their new CD as well as reflect back on the band success from the 80’s with an honest and candid lens. Robert Cavuoto: How did you and James Durbin connect? Frankie Banali: It’s interesting as when he was on Season 10 of American Idol as I was a casual watcher of the show. Someone told me to check out this rock guy singing on it. I thought he was great, and that was pretty much it; out of sight out of mind. When I signed a deal with Frontier Records for what ended up being the Road Rage CD I was in between singers. I reached out to James, but he had just signed a residency deal in Las Vegas and wasn’t available. I went ahead to continue to record, and when I needed him to do vocals, he was available. By then he was already friends with Alex Grossi our guitarist and that help make the connection. Robert Cavuoto: Do you think Quiet Riot has tapped into a new younger audience with James? Frankie Banali: That’s only been a by-product to some degree. That was not my motivation for doing it. Since starting Quiet Riot again in 2010, there were a number of singers. By enlarge; they were karaoke Kevin DuBrow types that just didn’t work. I decided to shift gears completely and get someone who had a great voice and vocal range because you need that for the old Quiet Riot material. I also wanted somebody who could put their thumb print on the music of Quiet Riot moving forward. Robert Cavuoto: Can you draw any comparison to Adam Lambert joining Queen and James joining Quiet Riot? Frankie Banali: I love success stories at any level and to any degree. There are similarities, and I welcome them. I haven’t followed what Queen has been doing with Adam because I am completely and totally consumed with the business of Quiet Riot 24/7. Robert Cavuoto: Regarding the new CD Road Rage, Seann Nichols sang on the original version of the CD, and then James rewrote the melody and lyrics. Was it that simple of a fix or did you have to record new guitar, drums, and bass to fit what James came up with? Frankie Banali: Yes and No. Essentially what happened was when we asked Mr. Nichols to leave we thought it was prudent to redo the vocals on the CD because we would never ask one singer to sing what another singer had come up with. I sent James all the music to all the tracks. By enlarge which had been written by me and Neil Citron who is my writing partner along with Alex Grossi and Chuck Wright. So all the music was written in-house so we send that to James and he started writing new lyrics and melodies. What I didn’t do was include two tracks from the first session onto this CD and instead recorded two brand new songs. That’s why I say “Yes and No”, as there are some new tracks but all the lead vocals are brand new lyrics and melodies written my James. Robert Cavuoto: I also enjoyed your documentary Well Now You’re Here, There’s No Way Back. It was intriguing to see the stark contrast of what everyone thinks the glamorous life of a rock star is and the cold hard reality of what it’s like being in a band and dealing with the music industry. Frankie Banali: When you are a musician or entertainer there is this perception by the fans of us having this fantasy lifestyle that you get up in the morning and your hair is perfect, you have the greatest rock clothes, and you get into a limo to fly off to do a show. The reality is quite different. When Regina Russell, the director of the film approached me about making the documentary I wanted to be transparent. I tell people she made the movie but I lived it. I didn’t veto anything. It’s an honest look at what it is like to be in a band. We are all just human and we have the same problems as other people so. I didn’t see the film until the final cut. It showed the good, the bad, and ugly. There are things in the film that make laugh, feel happy, feel sad and feel uncomfortable but that’s life. Without those elements, it would not be a real film. Robert Cavuoto: One of the more uncomfortable moments for me was when you met Carlos Cavazo at a festival; your relationship came across as cold and strained? Frankie Banali: My relationship with Carlos is completely the opposite of what it is with Rudy Sarzo. I have known Rudy since he was 19 and I was 18. We are beyond friends; we are brothers. When it comes to Carlos, we never had much of a relationship not because we didn’t like each other but we have such completely diametrically opposed interests. We didn’t have any of the same friends either. We were never that close and as time has gone on, that gap has widened to the point there isn’t that much of a relationship. It’s sad because I think Carlos is one of the best guitarists in rock. He is ridiculously underrated and it’s a shame we experienced such great things with Quiet Riot yet we have nothing to talk about.